Do not destroy this scammer’s career, okay? Such a tale of woe! None of it true, of course. Sorry, you’re not going to get a share of this £17,352,110 windfall from an abandoned bank account — because it doesn’t exist. Enjoy the email, if you receive it, and then delete without responding. I know this email might come as a surprise to you considering the amount of junk emails we all get on a daily basis. I can assure you that I am not one of them; I would appreciate if the content of this email is kept strictly confidential and respect the integrity of the information/content of this email. I have decided to contact you due to the urgency of this transaction. Let me start by introducing myself, I am Mr. Douglas Joseph, an account manager here in United Kingdom. I have worked a little more than 15 years now and before I became an account manager of the Bank. I am contacting you concerning an abandoned account in the sum of over 10 million British Pounds. I was the account manager to one Engineer Philemon Juan Smith, a foreign contractor with department of works and housing who has an investment account with my bank; I encouraged him to consider various growths of funds with prime ratings. Then he invested 10million British Pound. Based on my advice, we were able to spin the money around various opportunities and made attractive margins for the first few months of our operation. The accrued profit and interest plus capital stood at this point is over £17,352,110GBP (Seventeen million, three hundred and fifty two thousand, one hundred and ten Great Britain Pounds). In mid-2007, he instructed that the principal sum (10M British Pounds) be liquidated because he needed to make an urgent investment requiring transfer of the sum of (10M British Pounds) into his business account with my bank. We however assisted him with the transfer. After few months; the management of my bank sent several notice to him without response, on further inquiries we found out that my client was involved in an accident in Kenya on a short visit. He has no will and no next of kin, which means he died intestate and the reason I am writing you. He died without leaving a Will and several efforts were made to find his extended family but without success. Because of the sensitive nature of private banking, most customers don’t nominate next of kin in their investment, also usually in most cases leave their WILLS in our care, in this case; the deceased client died intestate. It is quite clear now that our dear client died with no identifiable family member. According to practice, the Private banking sector will by the end of the year 2017 broadcast a request for statement of claim to my Bank, failing to receive viable claims they will probably revert the deposit to the ownership of the UK Government Treasury according to United Kingdom Banking and financial law. I am also proposing that after a successful execution of the business deal, the funds will be shared in the ratio 50/50. You will get 50% and I will be entitled to 50%. You know that I must have done my home work already before contacting you. Although the project is CAPITAL INTENSIVE, I know I will be able to pull it through following proper banking and legal Channels with your assistance at your end. This claim will be executed without breaching any UK laws and success is guaranteed if we cooperate on this. The bank will release the account to you as the business associate to the late Mr. Philemon Juan Smith and my recommendation of you as the business associate to the deceased. Once more, I ask that if you find no interest in this project that you should discard this mail and forget I ever contacted you, I ask that you are not being vindictive and Destructive; do not destroy my career. An opportunity like this only comes once in a lifetime. I am an orphan and I need to take care of myself and family in the future and this is an opportunity for me to give myself and my future family the best.I would want you to think about this and let me know your decision because such deal happens in the banking industry but only the outside world is not aware. If you give me a positive response, I will give you the relevant INFORMATION for the successful completion of this deal and we both enjoy it in peace. All I require from you is honesty/sincerity; I guarantee that this will be executed under a legitimate arrangement that will protect you from any breach of the law. If you give me positive signals, I will initiate this process towards a conclusion. Treat this proposal with utmost confidentially and urgency for a 100% success. 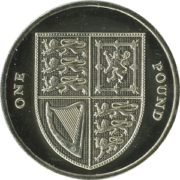 https://alanzeichick.com/wp-content/uploads/British_one_pound_coin_2015_reverse.png 300 300 Alan Zeichick http://alanzeichick.com/wp-content/uploads/alan-zeichick-logo.png Alan Zeichick2018-08-08 14:46:522018-08-17 14:48:21Do not destroy this scammer’s career, okay?